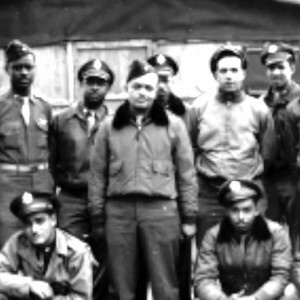 They fought for freedom abroad … and at home. 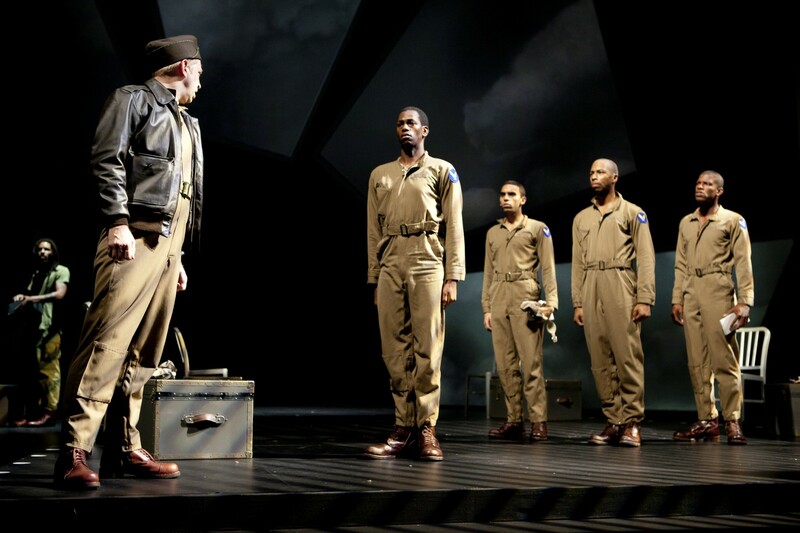 Based on the experiences of the Tuskegee Airmen, Fly is the powerful story of four African-American military pioneers who proved themselves as officers and pilots during World War II. Part of The Lincoln Legacy Project. James Konicek as Capt. 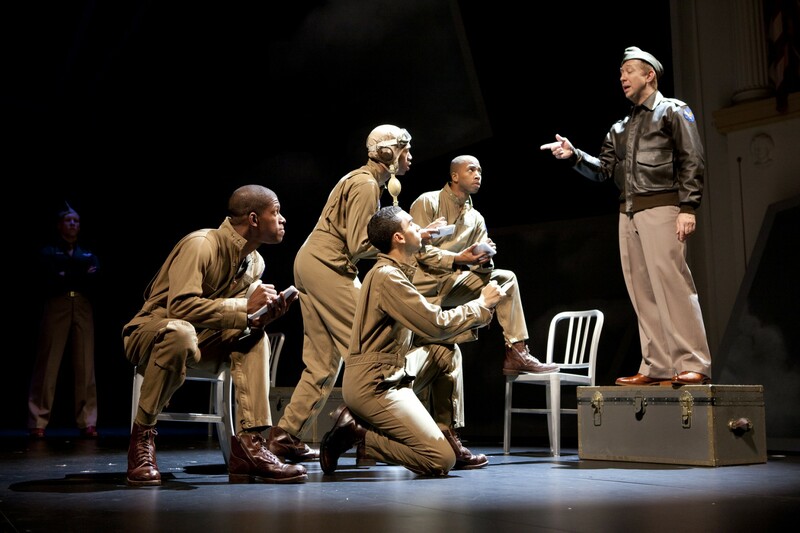 O’Hurley with Eric Berryman, Christopher Wilson, Mark Hairston and Damian Thompson as Tuskegee Airmen in the Ford’s Theatre production of “Fly,” directed by Ricardo Khan. Photo by Scott Suchman. 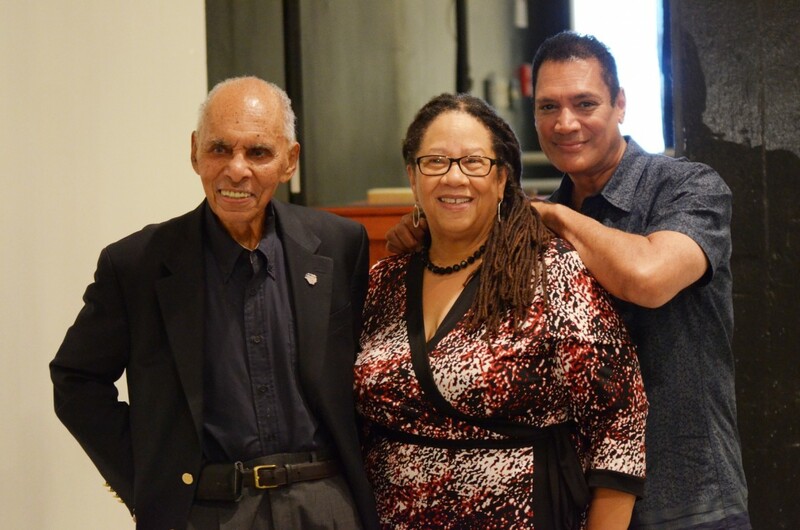 Photo of Mark Hairston, Eric Berryman and Christopher Wilson by Scott Suchman. 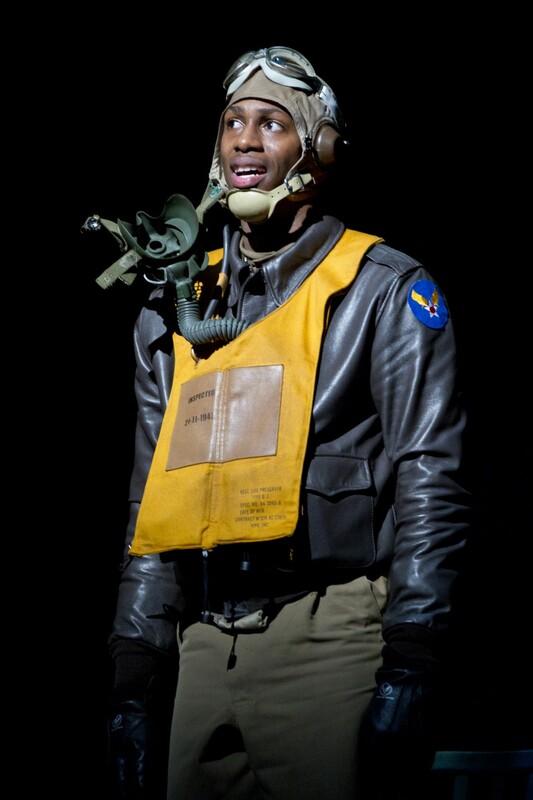 Omar Edwards as the Tap Griot in the Ford’s Theatre production of “Fly,” directed by Ricardo Khan. Photo by Scott Suchman. 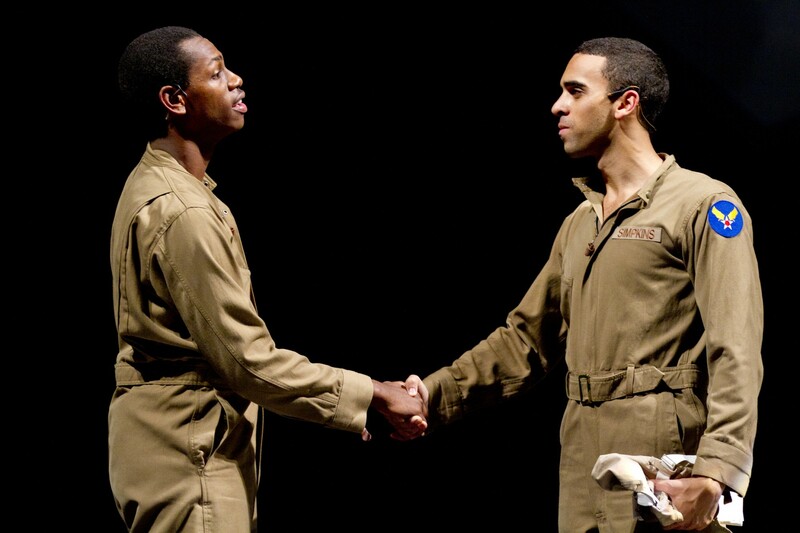 Eric Berryman and Christopher Wilson in the Ford’s Theatre production of “Fly,” directed by Ricardo Khan. Photo by Scott Suchman. 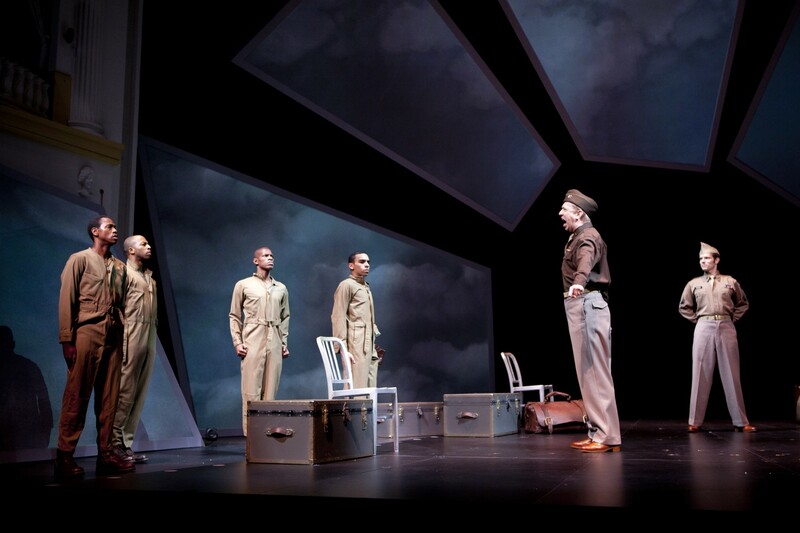 Mark Hairston, Christopher Wilson, Eric Berryman and Damian Thompson as Tuskegee Airmen in the Ford’s Theatre production of “Fly,” directed by Ricardo Khan. Photo by Scott Suchman. 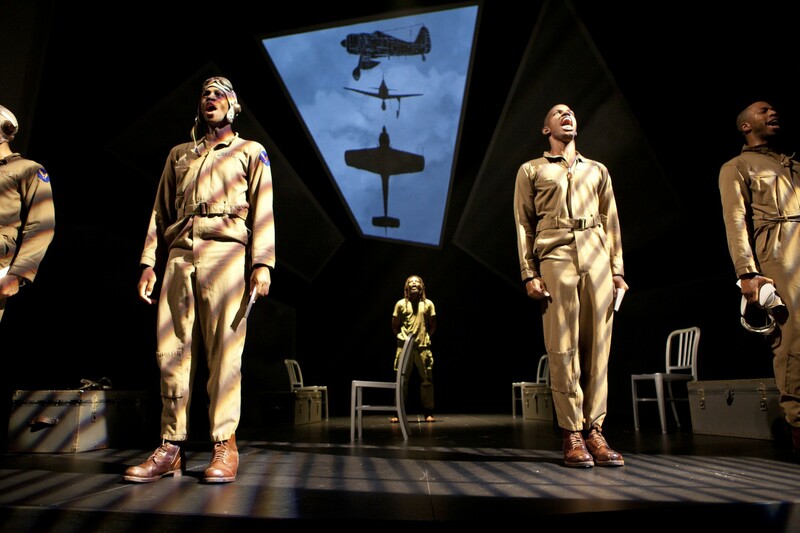 Mark Hairston, Eric Berryman and Christopher Wilson as Tuskegee Airmen in the Ford’s Theatre production of “Fly,” directed by Ricardo Khan. Photo by Scott Suchman. 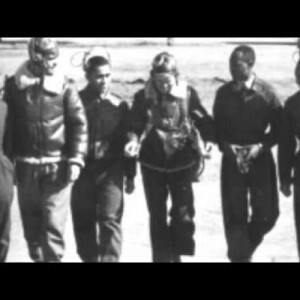 Mark Hairston, Damian Thompson, Christopher Wilson and Eric Berryman as Tuskegee Airmen, with James Konicek as Capt. 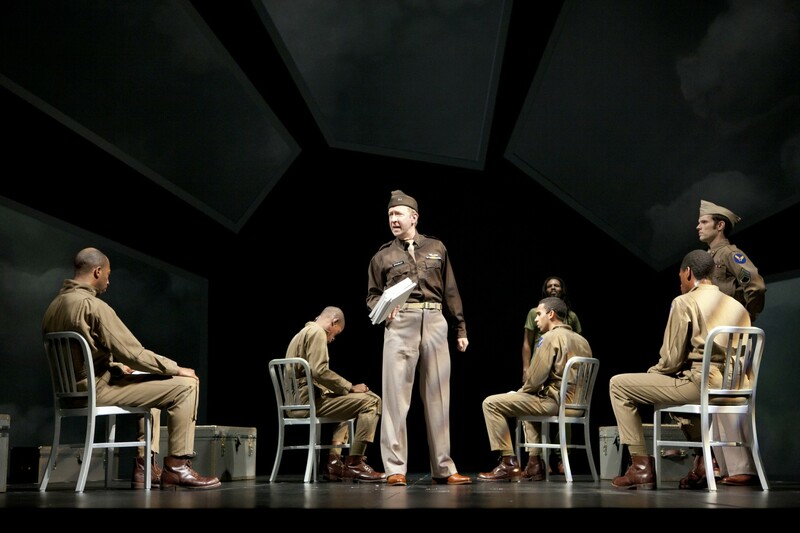 O’Hurley in the Ford’s Theatre production of “Fly,” directed by Ricardo Khan. 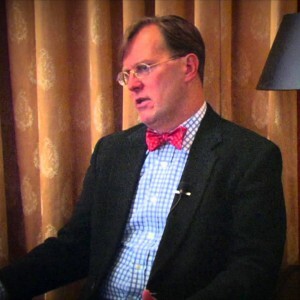 Photo by Scott Suchman. 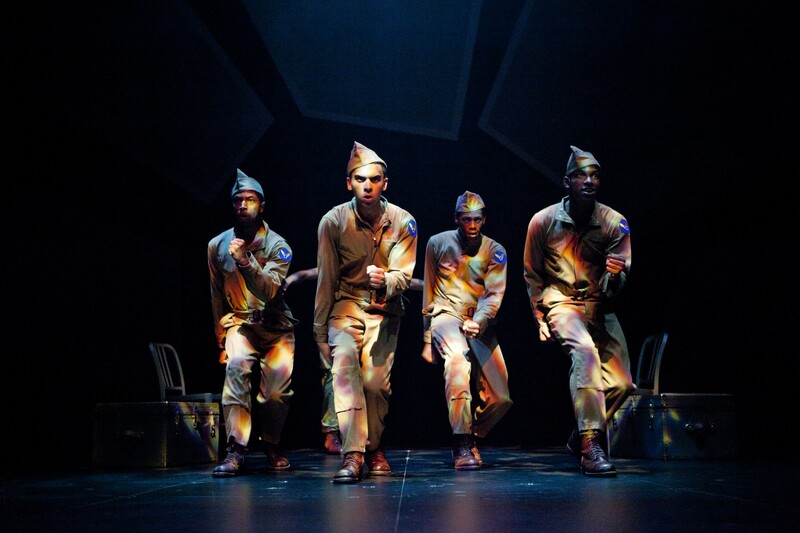 Mark Hairston, Damian Thompson, Christopher Wilson and Eric Berryman as Tuskegee Airmen, with James Konicek as Capt. 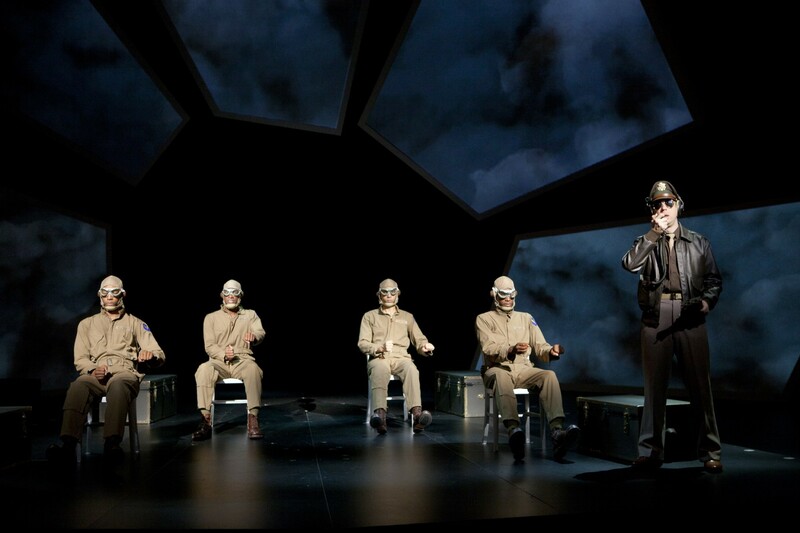 O’Hurley in the Ford’s Theatre production of “Fly,” directed by Ricardo Khan. Photo by Scott Suchman. 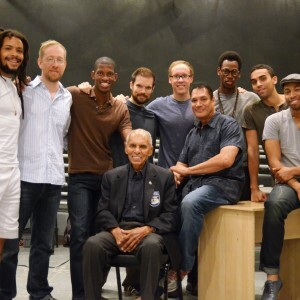 The cast of the Ford’s Theatre production of “Fly,” directed by Ricardo Khan. Photo by Scott Suchman. 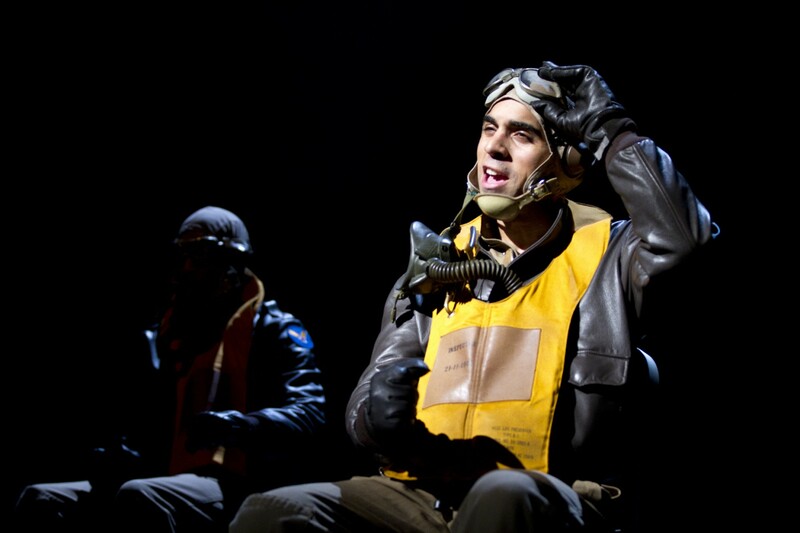 Eric Berryman as W.W. in the Ford’s Theatre production of “Fly,” directed by Ricardo Khan. Photo by Scott Suchman. 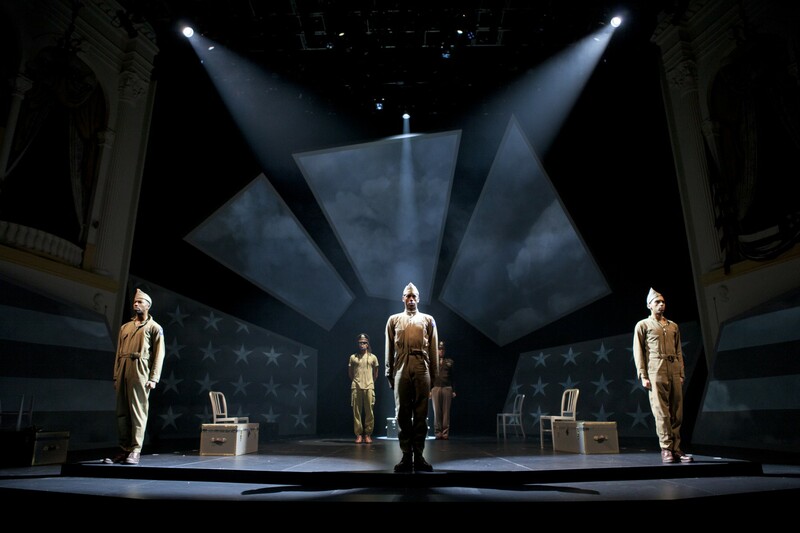 The cast of the Ford’s Theatre production of “Fly,” directed by Ricardo Khan. Photo by Scott Suchman. 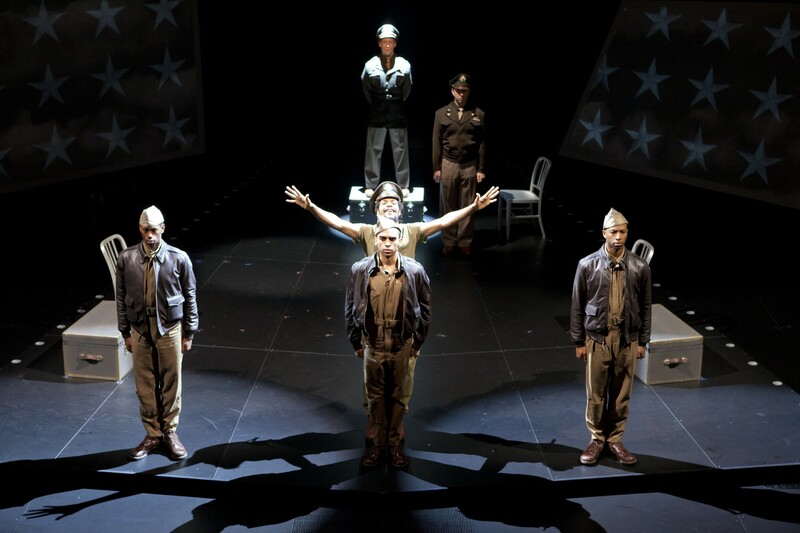 The cast of the Ford’s Theatre production of “Fly,” directed by Ricardo Khan. Photo by Scott Suchman. 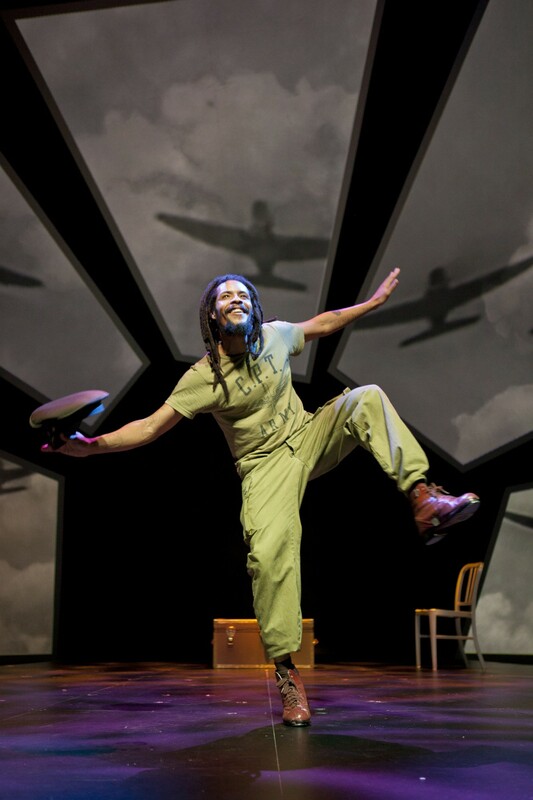 Omar Edwards as the Tap Griot in the Ford’s Theatre production of “Fly,” directed by Ricardo Khan. Photo by Scott Suchman. 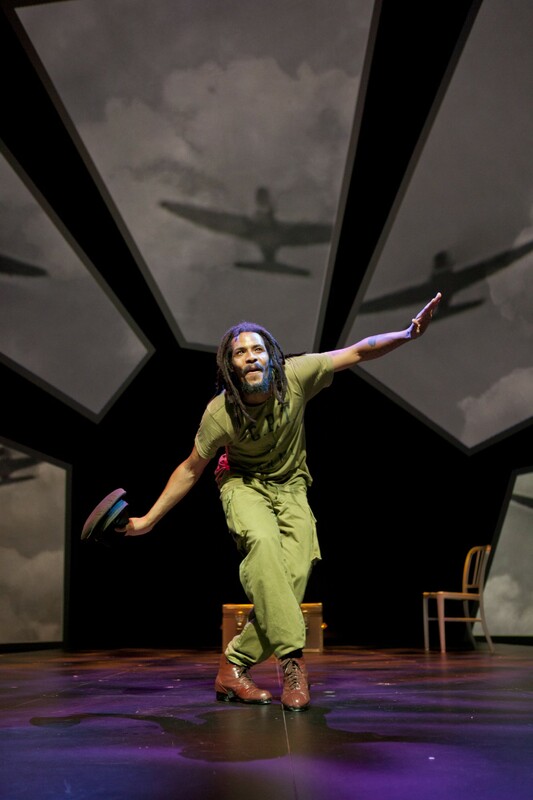 Omar Edwards as the Tap Griot in the Ford’s Theatre production of “Fly,” directed by Ricardo Khan. Photo by Scott Suchman. 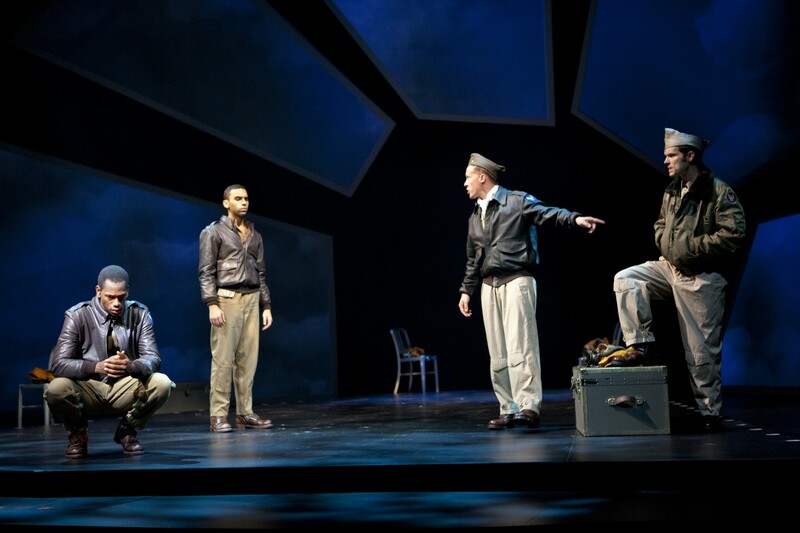 Eric Berryman and Christopher Wilson with Matt Bassett and Clark Young in the Ford’s Theatre production of “Fly,” directed by Ricardo Khan. Photo by Scott Suchman. 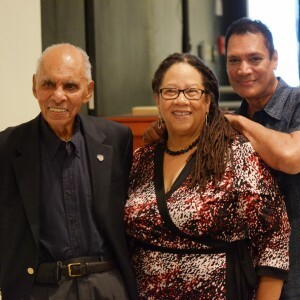 The Tuskegee Airmen Dr. Roscoe Brown, Jr.: Significance of the Tuskegee Airmen Ford’s Theatre Director on “Fly” Dr. Roscoe Brown, Ford’s Director of Special Programming Jennifer L. Nelson and “Fly” director Ricardo Khan. Photo by Gary Erskine. 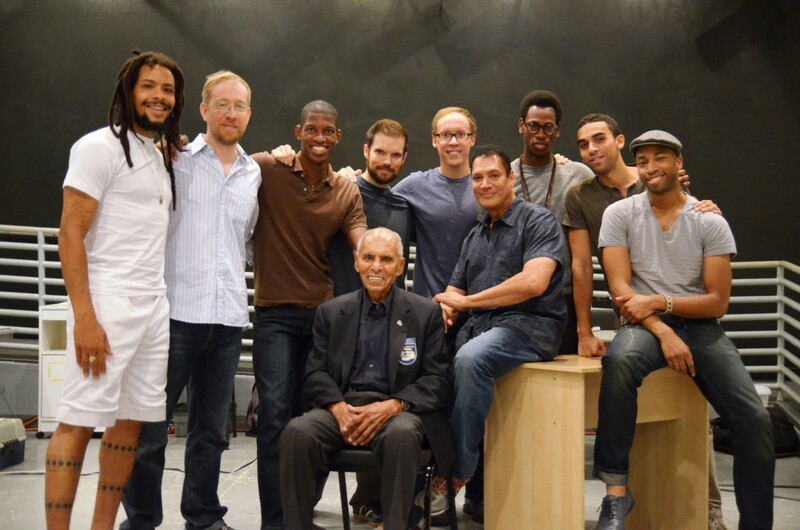 The cast of “Fly” with Dr. Roscoe Brown and Director Ricardo Khan. Photo by Gary Erskine. 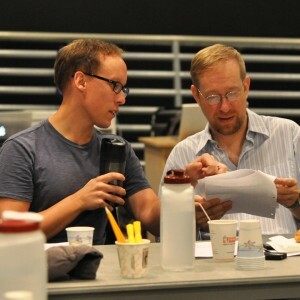 Cast members Clark Young and James Konicek. 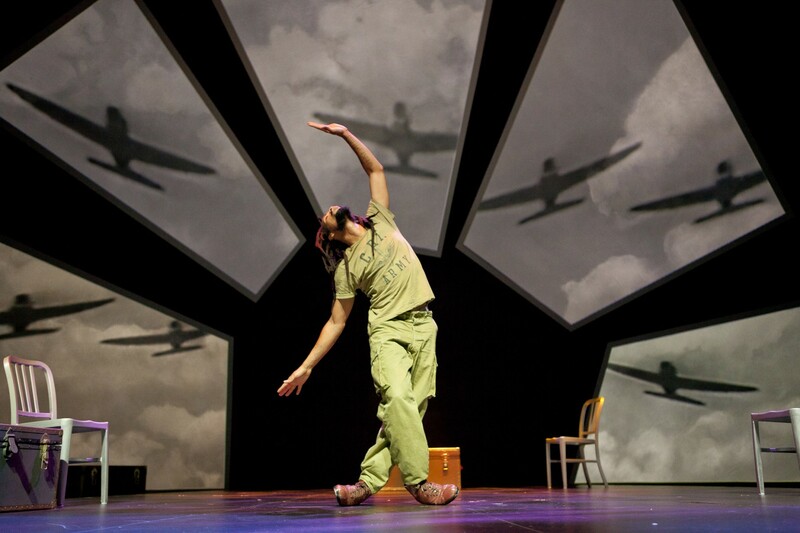 Photo by Carolina Dulcey. 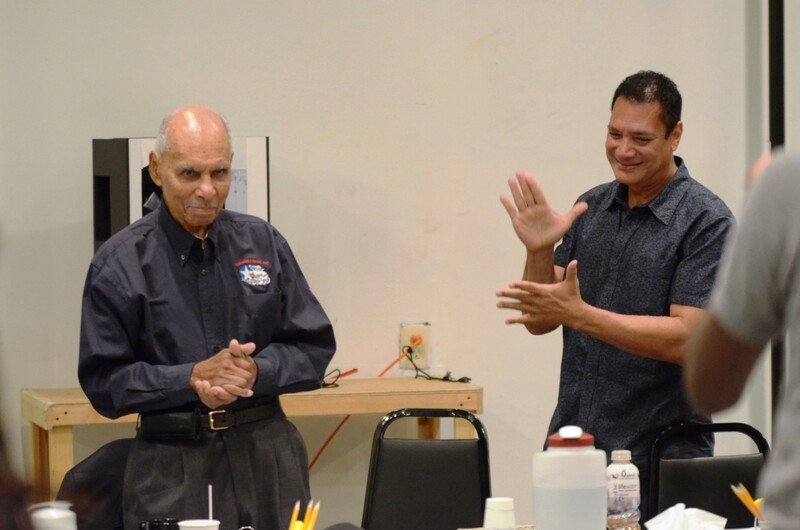 Dr. Roscoe Brown speaks to the company of “Fly” at first rehearsal. Photo by Gary Erskine. 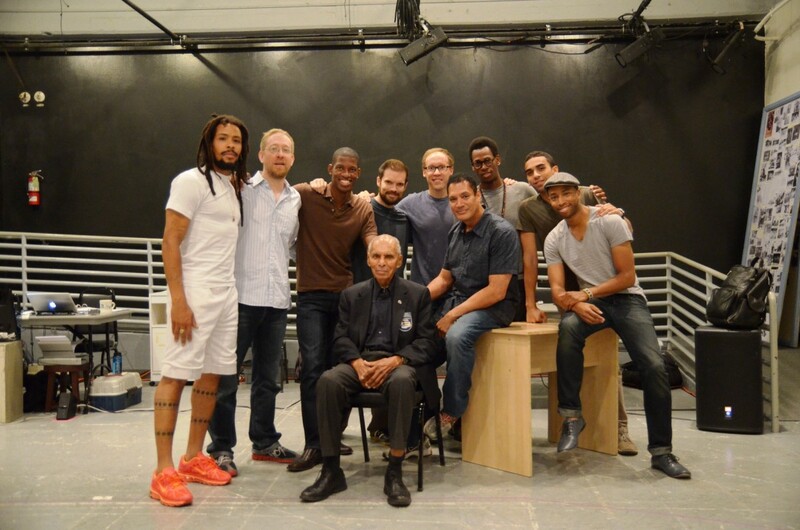 The cast of “Fly” with Dr. Roscoe Brown and Director Ricardo Khan. Photo by Gary Erskine. 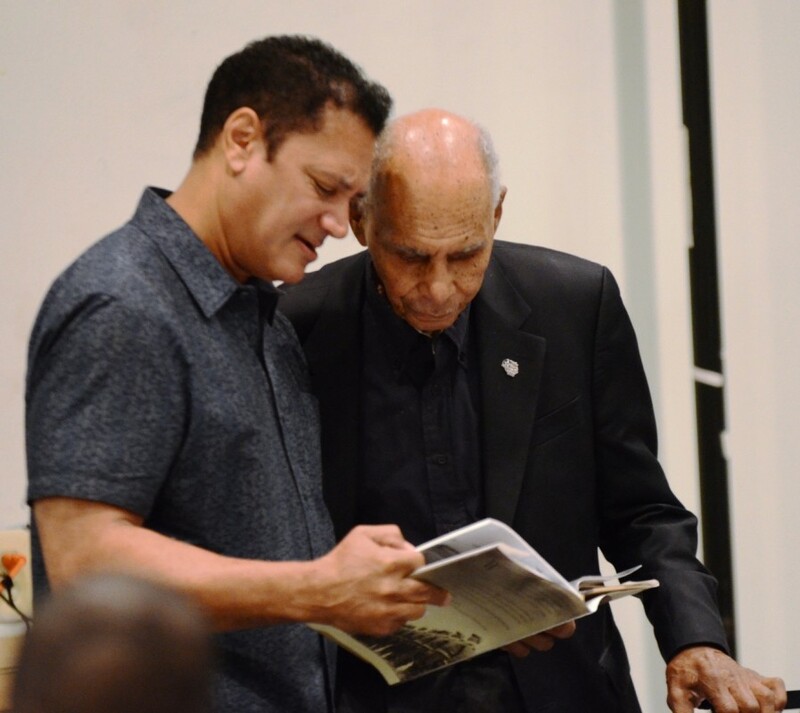 Co-Author and Director Ricardo Khan speaks with former Tuskegee Airman Dr. Roscoe Brown. Photo by Gary Erskine. Mark Hariston and Chris Wilson. 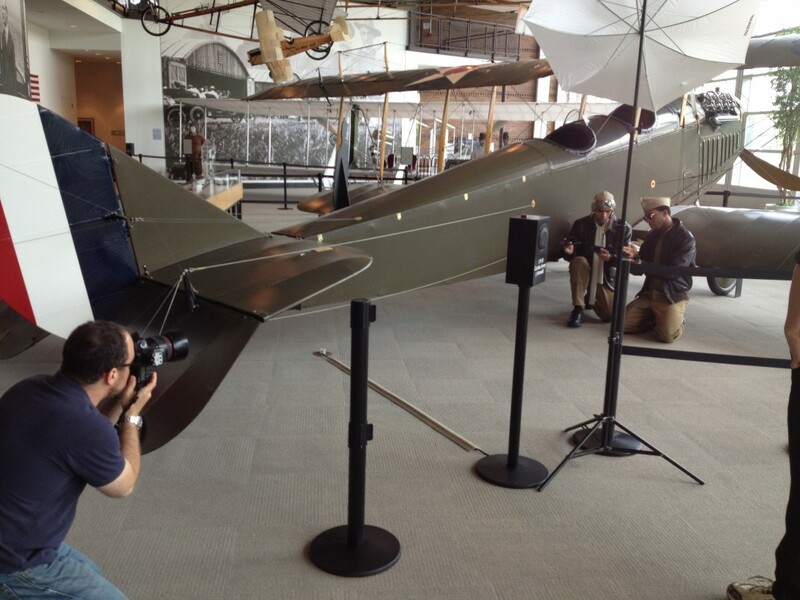 Photographer: Scott Suchman — at College Park Aviation Museum. Mark Hariston and Chris Wilson. 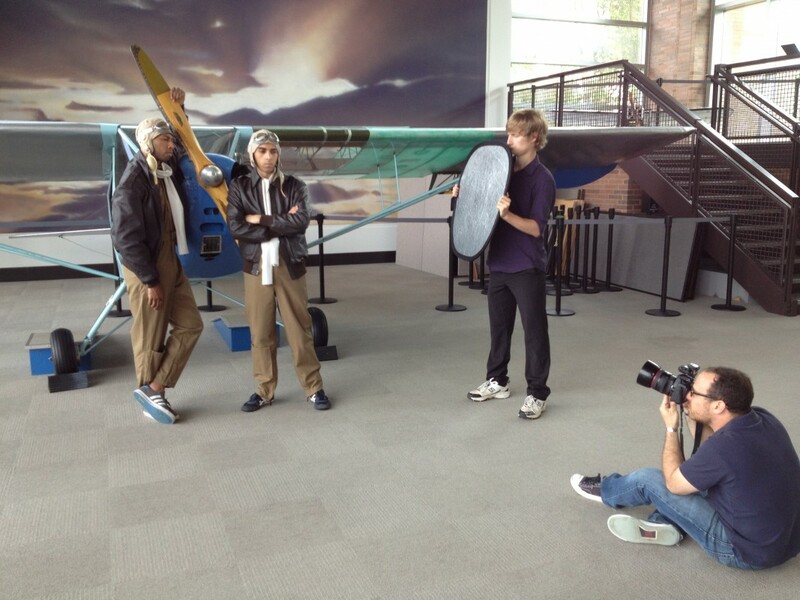 Photographer: Scott Suchman — at College Park Aviation Museum. Mark Hariston and Chris Wilson. 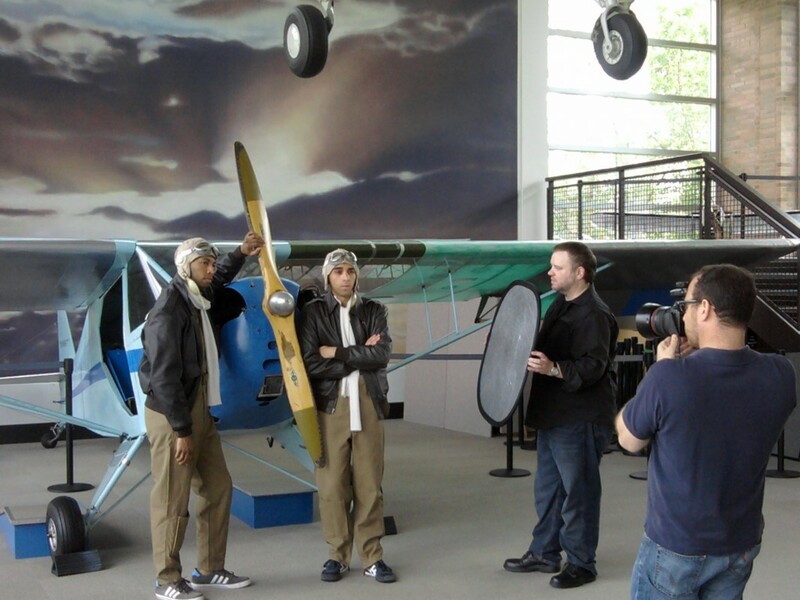 Photographer: Scott Suchman — at College Park Aviation Museum. 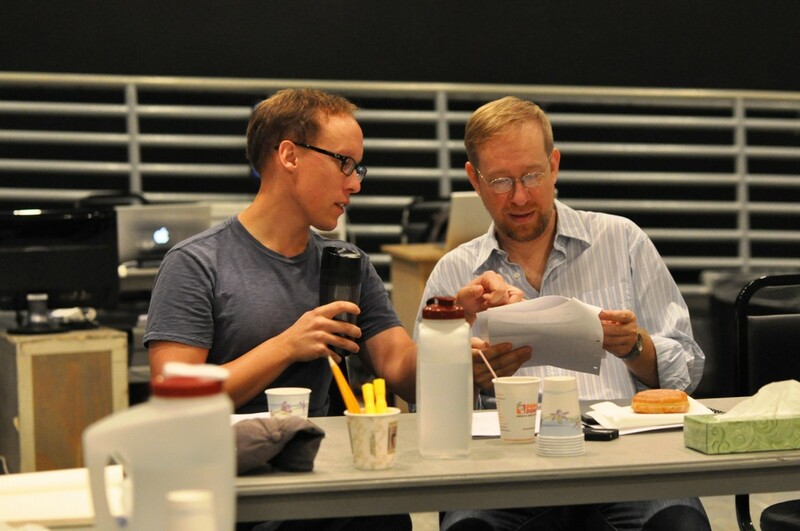 Mark Hariston and Chris Wilson. 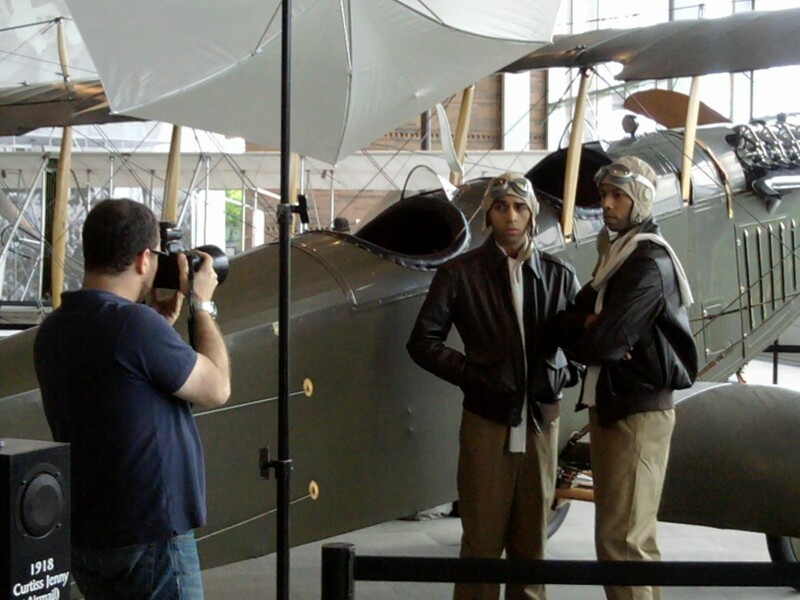 Photographer: Scott Suchman — at College Park Aviation Museum.